Natural childbirth advocates are neo-Luddites. The original Luddites appeared during the Industrial Revolution and were weavers who were replaced by mechanized weaving, which produced high quality cloth faster and for less money, not incidentally depriving them of the job and lifestyle they desired. I was reminded of the Luddites when I read the Science and Sensibility post on the consensus statement produced by three midwifery organizations, Supporting Healthy and Normal Physiologic Childbirth; A Consensus Statement by ACNM, MANA and NACPM. It’s the classic manifesto of a neo-Luddite movement, protesting technology because it threatens their jobs and their way of life. Neo-Luddites use technologies despite viewing them as the enemy. Some even use e-mail, … [and] the World Wide Web to to disseminate neo-Luddite propaganda… Sale describes neo-Luddites’ use of technologies as “a contradiction and a compromise, however, that sits easily with no one and is justified only in the name of the urgency of the cause and the need to spread its message as wide as possible”. A normal physiologic labor and birth is one that is powered by the innate human capacity of the woman and fetus. This birth is more likely to be safe and healthy because there is no unnecessary intervention that disrupts normal physiologic processes . Some women and/or fetuses will develop complications that warrant medical attention to assure safe and healthy outcomes. However, supporting the normal physiologic processes of labor and birth, even in the presence of such complications, has the potential to enhance best outcomes for the mother and infant. A normal physiologic labor and birth is one that is powered by the innate human capacity of the woman and fetus attended by midwives. This birth is more likely to be safe and healthy good for midwives because there is no unnecessary intervention that disrupts normal physiologic processes intervention that cannot be provided by midwives without the assistance of a doctor. Some inferior women and/or fetuses will develop complications that warrant medical attention to assure safe and healthy outcomes. However, supporting the normal physiologic processes of labor and birth, even in the presence of such complications, has the potential to enhance best outcomes for the mother and infant midwife income. Ahh, that’s better, because that’s what this is really about. The original Luddites protested the introduction of technology because they did not know how to use it, so it replaced them and threatened their way of life. That the new technology produced higher quality cloth quickly and cheaply, and therefore benefited everyone was irrelevant to them. Not surprisingly (since their incomes were on the line), they valued process above outcome. Similarly, birth luddites protest the introduction of technology into childbirth because they are not capable of using it, so obstetricians (who do know how to use technology) replace them and their way of life is threatened. That the new technology produces better outcomes for mothers and babies and therefore benefits everyone is irrelevant to them. Not surprisingly (since their incomes are on the line), they value process above outcome. The original Luddites lost, of course. People bought the cloth woven on machines because they valued the outcome: less expensive, more accessible cloth. Although they don’t realize it, birth luddites have already lost the battle and the war. Women value the outcome of interventions in childbirth: less pain, dramatically fewer neonatal deaths and dramatically fewer maternal deaths. 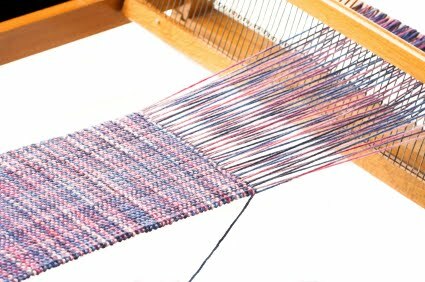 Birth luddites should learn from the experience of the weavers. You can’t stop technology when it improves outcomes.